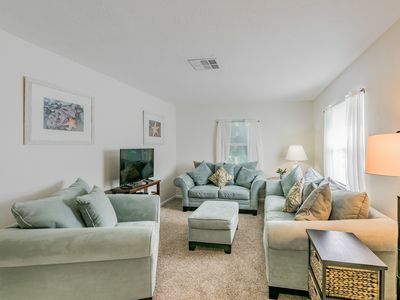 This vacation retreat is located at the Bayshores Yacht & Tennis Club along the Intracoastal Waterway in Indian Shores, FL and is perfect for a quiet place to relax and enjoy the beach life! 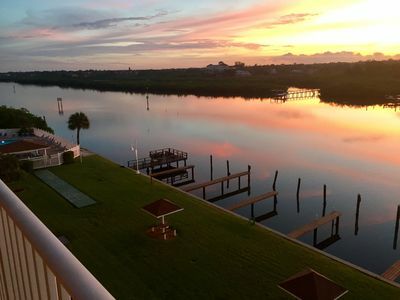 This unit has amazing views of the Intracoastal Waterway from the large private balcony that provides beautiful views of the sunrise. 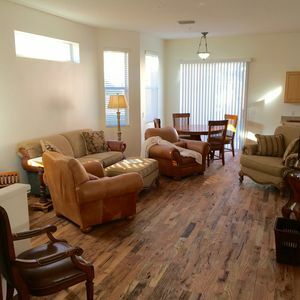 The condo is only a short walking distance to great restaurants and activities, as well as being just steps (directly across the street) from the renowned white, sandy beaches of the Gulf of Mexico. 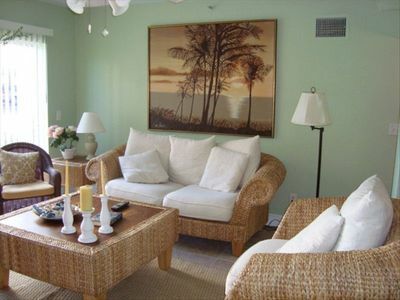 Indian Shores is a quiet beach community popular with everyone from casual beach-going families to long-term locals. 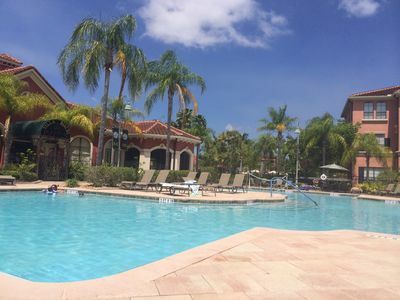 The variety of shops, restaurants and accommodations in our beautiful community make visitors feel right at home. 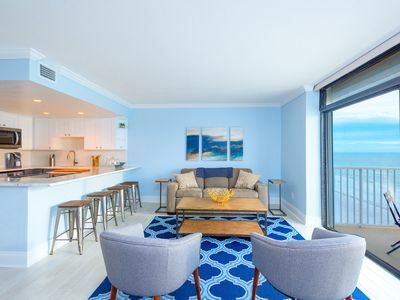 During your stay, you can hop on the Jolley Trolley directly out front of the property and ride to Clearwater Beach or St. Pete Beach and experience the world-renowned beaches, shops and restaurants along the way. 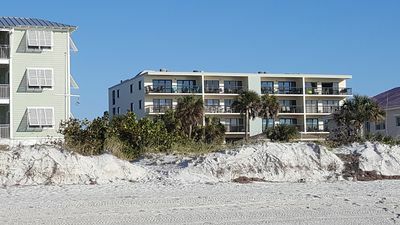 Indian Shores is just a 10-minute ride on the beach trolley to John's Pass Village, a large marina, shopping and dining complex offering a variety of water sports rentals, casino boats and dolphin-watching or sunset cruises. 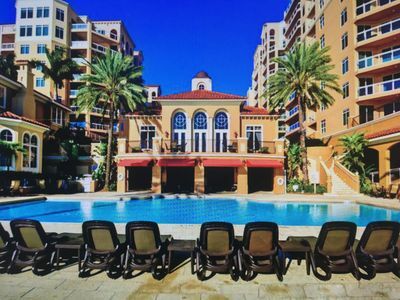 Ten minutes to the north, you'll find the world famous Pier 60 and a variety of shops and restaurants at Clearwater Beach. 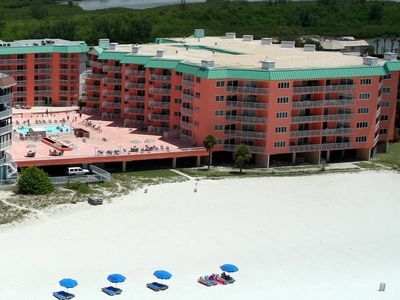 Also home to the Clearwater Aquarium, the residence of dolphin movie stars Winter and Hope from Dolphin Tale. 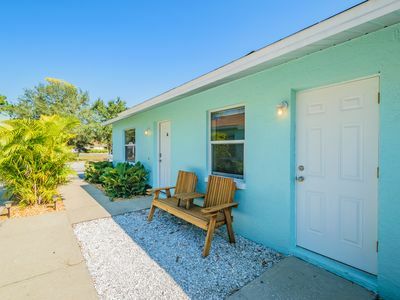 In Indian Shores and Indian Rocks Beach, enjoy fresh local seafood at the award-winning Salt Rock Grill from their own private fishing fleet or great beach-side restaurants like Keegan’s and Guppy’s, watch the sun set over cocktails at Caddy’s Pub or stop by the iconic Lighthouse Donuts for a quick snack, all just minutes from your vacation home. 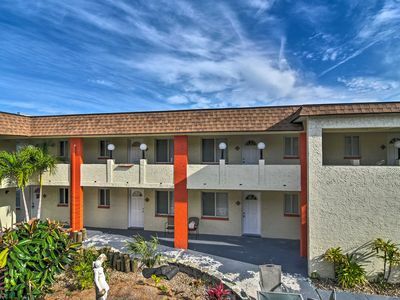 It's a perfect spot for romantic getaways, family vacations or a break from cold winter weather! 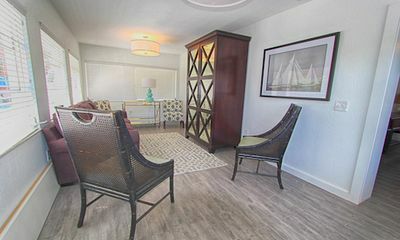 The condo is fully furnished and equipped for your stay. 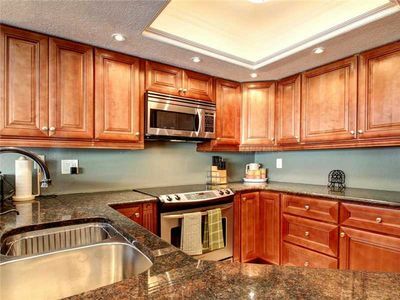 The kitchen is fully stocked with all the appliances, dinnerware, cooking gadgets, etc. that you will need. 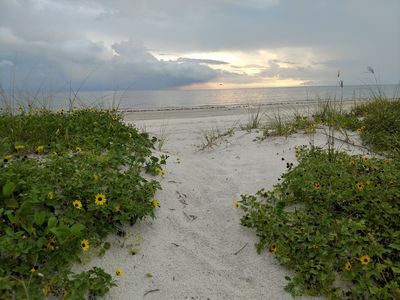 You'll find beach towels, umbrellas, coolers, chairs, and a cart to carry all of your gear to the beach. Or if you prefer to hit the court, we even have tennis rackets and balls too! 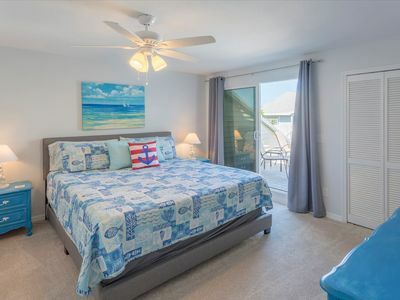 The Master bedroom features a King bed and flat screen LED TV with private access to the lanai with views of the waterway. We have a SmartTv LED TV (HD cable TV, Netflix included) in living room. The Guest bedroom comes with one (1) full size and one (1) twin bed. 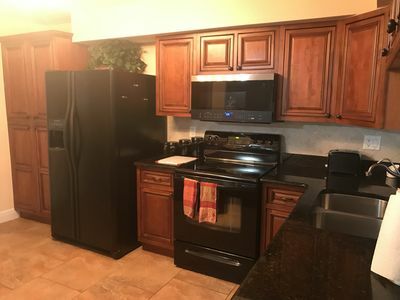 Cable and WiFi included. No pets allowed. 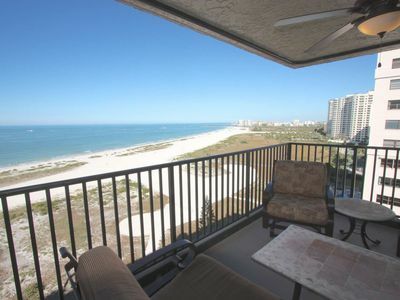 3 Bed/2 Bath Condo on Indian Rocks Beach - Now booking April & Beyond! 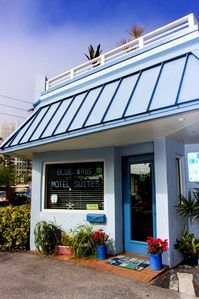 Welcome to our Dog Friendly paradise and enjoy our beaches, seafood and surf. 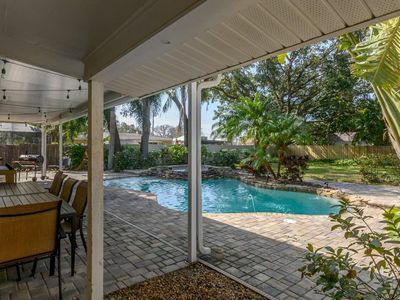 Updated Largo Custom Pool Home! 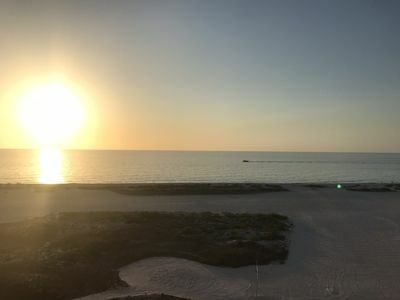 Minutes to Gulf!